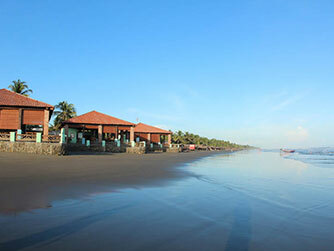 Playa El Cuco is perfect to spend with family and disconnect from all bustle. 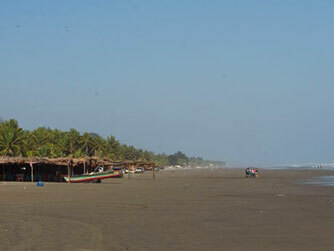 The beach is popular among, especially those living in the East of El Salvador, those who like the calm waters, and large areas of black sand. In Playa El Cuco you can play football, volleyball, jogging, horseback riding on the edge of the beach or simply enjoy a bit of Salvadoran cuisine. In El Cuco there is plenty on offer in restaurants and small dining with seafood freshly extracted from the sea and affordable. By car: When driving on the highway El Litoral (CA-2) from Usulutan, look for the call diversion "El Delirio" where you should turn right towards El Cuco-La Union. By bus: From San Miguel take Route 320 bound for Chirilagua and El Cuco. From Usulutan take Route 373 to the Transit and El Cuco. 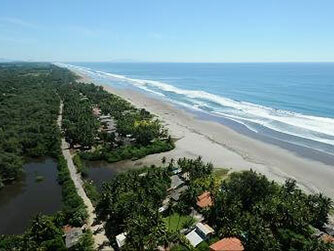 We provide the surf trip you've always dreamed of!